Angie’s Curse 1st Show of the Year! Billyos Ventura﻿ is now serving PIZZA! Free Show! Starts @ 9pm! Angie’s Curse﻿, Fangboy and the Ghouls﻿, Dead Of Night﻿! 50/50 CASH Raffle! Angie’s Curse to in the RAW Artist Ventura Finals! 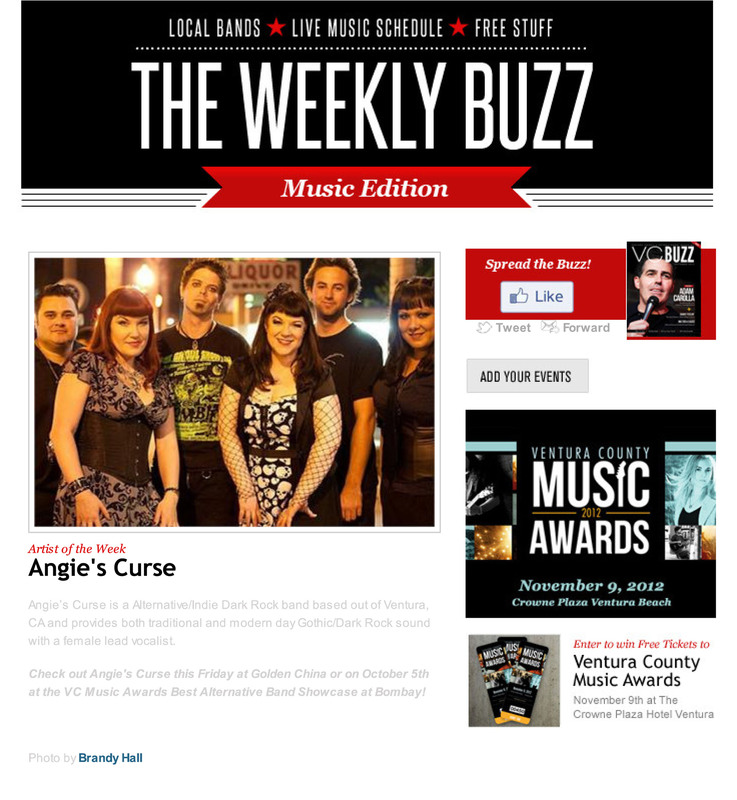 Angie’s Curse named Artist of the Week in VC Buzz Magazine!